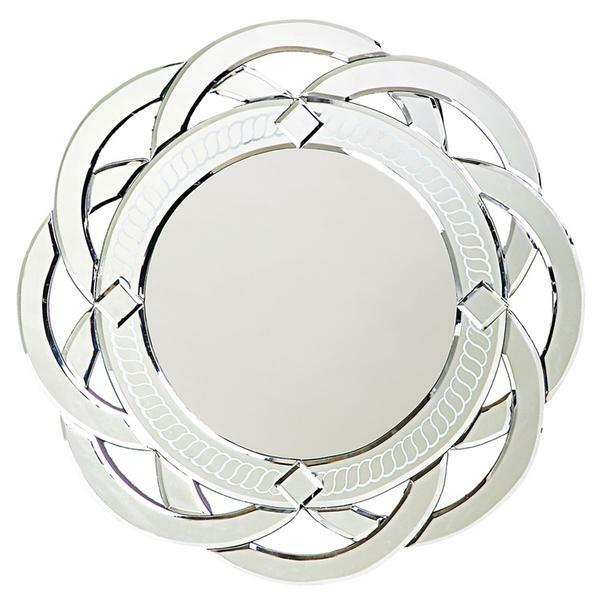 The Garland Mirror is a dramatic Contemporary piece featuring a round frame of interwoven mirrored bands. The mirrored band bordering the main glass is etched with a rope pattern. It is a perfect focal point for an design. Each mirrored panel is beveled adding to its style and beauty. Customizable for larger orders.